Reverend Father Clement Rapuluchukwu Ugwu, the Catholic Priest of St. Mark Catholic Church, Obinofia Ndiuno in Ezeagu Local Government Area (LGA) of Enugu State was found dead March 20, 2019, reported Fides News Agency. He was reportedly abducted on March 13, 2019, in his parish. It appears according to local reports that the gunmen suspected to be kidnappers, had shot him before they took him away. Bishop Callistus Onaga of Enugu, decried the spate of violent killings around the country, advising that Christians should intensify their prayers for the survival of the Country. Bishop Onaga regretted that security agencies could not rescue Fr. Ugwu despite their assurances that they were closing on the kidnappers, while the abductors were making withdrawals from his account through his Automated Teller Machine (ATM) card. “We reported it to the police and since then I have visited police station three times, yet they kept telling me ‘we are closing in on the kidnappers’. 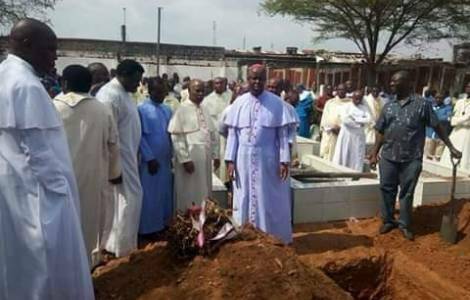 I doubt they were doing anything because where the deceased body of Father Ugwu was found is not up to 20 kilometers from his house”, denounced Bishop Onaga.